Several theological questions gather around this verse. First, does this verse speak of the common grace which is the divine goodness which is given to all to all and sundry whether they believe in God or not? Because the name “Father of lights” has a creational and thus universal sense, it is possible to see in this verse a reference to the universal goodness of God. After all, the Lord is “good to all” (Psalm 145:8). God is unchanging and unremittingly benevolent, causing his sun to rise on the evil and the good, and his rain to fall on the just and the unjust (Matthew 5:45), satisfying our hearts with food and gladness (Acts 14:17). Such a reading, however, is not natural to the context. James is addressing his “beloved brothers and sisters” who have been “brought forth” by God’s will through the word of truth (v. 18). He gives generously to those who ask in faith nothing doubting (vv. 5-8). Thus, although this verse might it be used to support the idea of common grace taught explicitly elsewhere, here it is better to think of it as an exhortation to believers to trust God’s goodness rather than assign temptation to him. The second question concerns God’s immutability. According to James, in God there is “no variation” or “shadow of turning.” Clearly James holds the Old Testament tradition that God does not change (see, for example, Malachi 3:6; Numbers 23:19). But in what sense does God not change? The question is important because of the way the concept of God’s immutability, his changelessness, has been understood in the Christian tradition. For many, God’s immutability is understood in absolute terms, as though God is absolutely unchanging in his being and essence. Behind this idea lies the concept of the divine perfection: if God is absolutely perfect he could never be subject to change, for any change would be for the better (in which case he was not actually perfect before), or for the worse (in which case he is no longer perfect). This philosophical concept of absolute divine immutability, however, renders God unable to love or respond emotionally to his creation. God becomes aloof, sitting in transcendent splendour above the created order and untouched and unmoved by its pain, need and suffering. Such a picture of God, however, is far removed from the biblical portrait of God whose heart was broken over humanity’s fall into sin (Genesis 6:5-6), and who is portrayed by Jesus as running to greet his wayward child who now returns (Luke 15:20). In what way, then, is God “without variation” or “shadow of turning”? It is unlikely that James was thinking in metaphysical terms in the sense that God is ontologically incapable of any change. The Old Testament references indicate that God is unchanging with respect to his character and intention—ideas which fit the context of this verse well. God is unchanging in his goodness and in his will to bless. God is also unchanging in his righteousness and holiness. As such God stands opposed to evil in all its forms and will not countenance evil in the lives of his people. How, then, could God tempt his people toward evil? For James, such a view is unthinkable in light of the unwavering goodness of God. Certainly James does not want his congregation to misunderstand the serious ramifications of sin which lead to death. Nevertheless, his warning in verse 16 is perhaps more directed to the positive truth which now comes into view in this verse: he especially does not want them to be deceived about the constant, consistent and unchanging goodness of God. 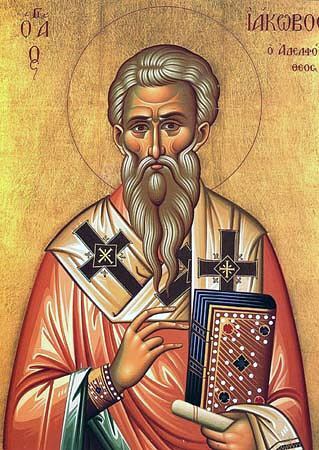 We have already noted that some among his listeners have been deceived about God’s goodness, including assigning evil intention and temptation to God. In this verse James counters this view with a firm declaration that God is always and only good, and that God never changes. Therefore God is not the one who tempts them, nor does God send evil upon his people. Rather, God is the source of every good gift, the giver of “perfect” gifts, single-mindedly good and generous (v. 5). The opening phrase of the verse is thought by many commentators to be an ancient proverb because it forms a hexameter, a series of words whose syllables form six rhythmic sections (Vlachos, 47). Davids suggests that the original saying could have been something like “every gift is good and every present perfect” (86). Applied in this context, it affirms the divine goodness in simple and homely terms. The NRSV translates the phrase as “every generous act of giving (pasa dosis agathē), with every perfect gift” (kai pan dōrēma teleion; cf. NASB, Holman, and others). While it is correct that dosis may be translated in terms of an act, it is more likely that James is using the two terms dosis and dōrēma as synonyms and as such does not intend any distinction of meaning between them. McKnight (124) also suggests that given the poetic nature of the phrase, neither should we seek to draw distinction between “good” (agathē) and “perfect” (teleion); in the whole phrase James has one thought and one intent, which is to declare the goodness of God. These good and perfect gifts are from above (anōthen estin), “coming down” (katabainon) from the “Father of lights” (apo tou patros tōv phōtōv). The phrase indicates the heavenly origin of these gifts, and the present tense suggests that such gifts are continually descending from above. What are these gifts which continually descend from above? James does not say. However, he has already spoken of God giving wisdom to those who ask in faith (v. 5). In chapter three he will speak of the wisdom which is “from above” (3:15, 17). We might readily, therefore, consider wisdom as one of the gifts that God gives. But we need not limit God to this gift; every good gift and every perfect gift is from above. Not only the blessing of wisdom, but salvation, healing and forgiveness (5:15), answers to prayer (5:16-18), eschatological redemption and reward (1:4, 12)—all these and more besides are the generous gifts that the Father of lights gives to his children. While the overall thrust of the verse is quite simple and clear, the details are less so. The term “Father of lights” appears only here in Scripture, and probably intends to designate God as the creator (“Father”) of the heavenly lights—the sun, moon and stars, recalling Genesis 1:3, 14-18. That God is associated with light rather than darkness adds to the emphasis that he is not the source of temptation. The final phrase adds to our picture of God’s character by insisting that with respect to God there is “no variation” (par’ hō ouk eni parallagē) “or shadow due to change” (ē tropēs aposkiasma). Not only is God good, he never changes; that is, God is only and always good. Although none of the terms used here are technical astronomical terms, parallagē and tropēs are commonly used in astronomical contexts. This adds support to the idea that “Father of lights” refers to God the creator of the heavenly bodies (Moo, 76). How the phrase is to be interpreted, however, is less clear. James could be simply likening God’s goodness to the regular and dependable movements of the heavenly bodies, or he could be saying that God is unlike the heavenly bodies, for they are ever shifting in their course, subject to change and shadows during the lunar cycle or eclipses. The final phrase of the verse, “shadow due to change” suggests that the latter interpretation is best. Thus God never changes nor is he changed. Does he therefore send tests and temptations? No, he sends that which is good, and, since he is unchanging, he could never send evil (Davids, 88). 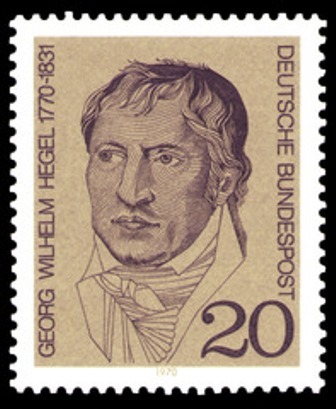 At the same time, Küng found much to embrace in Hegel’s concept of God and God’s relationship to the world. In contrast to the all too static and otherworldly God of traditional theism, Hegel’s God is living, dynamic and capable of suffering, and it includes its antithesis in itself, rather than standing aloof from the world’s history. The historicisation of the divine being, the divine immanence and divine pathos: these are all the outgrowth of Hegel’s thought. Schleiermacher’s feeling of absolute dependence is a religious a priori which accounts for the shift in theological method which occurred in the nineteenth century, but Schleiermacher’s God was still utterly transcendent. True, it is a transcendence coupled with immanence: God is the “infinite, all-determining, supra-personal power immanent in everything” (144), but Hegel’s account of God deepened divine immanence, tying God necessarily to the historical process. God became dependent on the world for the realisation of his own being. 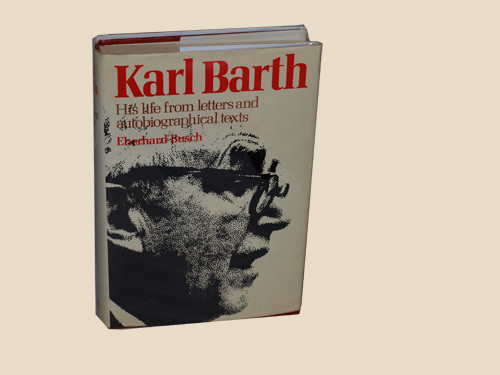 In the twentieth-century, Barth developed the idea of a history in God, admittedly in very different directions to Hegel. Tillich, process thought, Moltmann and Pannenberg all echo Hegel in some aspect of their work. Olson’s image of Hegel as a “ghost” is provocative, creative and stimulating—and probably quite true. It seems that we will be unable to understand twentieth-century theology without some understanding of Hegel. Is that true of modern cultural sensibilities as a whole? Earlier this month our education minister, Christopher Pyne, walked away from the utilitarian views about postgraduate research he expressed while in opposition. Among his characterisations of “ridiculous” research projects was Hegelian philosophy. If Hegel’s ghost is as prominent in modern thought and culture as it has been in theology, there is nothing ridiculous in understanding him, even in cultural and secular contexts. This brief verse of just five words is not a rhetorical pause, as it were, while James collects his thoughts before going on, having little or no connection with what has preceded it. Most commentators agree that it is a hinge verse reaching back to warn the reader concerning the error just discussed in verses 13-15, and opening the discussion which corrects that error in verses 17-18. As such, the verse holds the two paragraphs of this section together. “Do not be deceived” (mē planasthe), warns James. This phrase occurs in several places in the New Testament, usually in contexts where the writer is warning his readers concerning serious errors which “strike at the heart of the faith itself” (Davids, 86). For example, Paul uses it in 1 Corinthians 6:9 and Galatians 6:7, in both cases warning the Christian community concerning the reality of divine judgement because of lifestyles which are incompatible with life in the kingdom of God. The phrase has a similar sense here: those who claim they are tempted by God (v. 13) are deceived; make no mistake, says James, sinful life arises from human lust and leads ultimately to death. This is neither God’s will nor God’s work. That James refers to his readers as “my beloved [brothers]” (adelphoi mou agapētoi)—the NRSV correctly omits “brothers” given adelphoi is inclusive of both genders—shows, however, that he does not consider that they have in fact fallen from their faith. They are still in the family, so to speak. But as a concerned and diligent pastor, he admonishes and warns them concerning the seriousness of the error that some, apparently, have fallen into. Love for the congregation is necessary for effective pastoral ministry, especially when exhortation and admonition are required. That James uses the term for siblings also indicates that he addresses them not in the mode of a parental authority over them, but as one of them and alongside them. He wears his pastoral authority confidently but lightly. 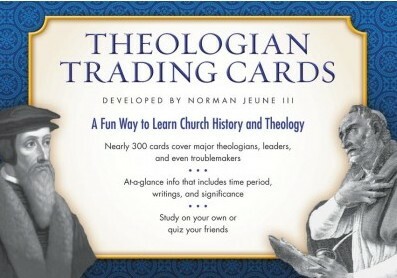 At last I have discovered the essential tool required by every theological student. Get in early for the new academic year! Then, when that desire has conceived, it gives birth to sin, and that sin, when it is fully grown, gives birth to death. In verses 13-14 James has located the genesis of sin strictly with the individual rather than with God, the devil or some other external agency: “Each person is tempted by one’s own desire, being lured and enticed by it.” For the ancient Hebrews, the yetzer hara‘ (an evil inclination or desire) was an inherent impulse and ever-present feature of the human personality, drawing the person towards evil activity. In this verse James continues his practical account of the dynamics of sin. “Then” (eita), says James, indicating a progression and a result, when the enticement or lure meets misdirected desire, a conception occurs—sin (hamartian) has its origin. It may, following the analogy, be a long gestation, secret and hidden before coming to light. Or it may spring swiftly to life, but come to birth it will. James’ use of the dramatic metaphor of conception (syllabousa) and birth (tiktei) has antecedents in the Hebrew Bible. For example, Psalm 7:14 reads, “Behold, he travails with wickedness, and he conceives mischief and brings forth falsehood.” What makes this text interesting is that the imagery naturally associated with a woman is applied to a male. This is important when considering James’ use of the metaphor, for a number of commentators suggest that James has in mind the image of the loose woman of Proverbs 5-9 (e.g. Davids, 84; Moo, 74; Vlachos, 45), thus portraying sin as a seductress. This link is seen as particularly appropriate given the grammatical feminine of epithymia (“desire”). Care must be taken, however, to avoid the association of the feminine with evil and sin, a danger with a long pedigree in the Judeo-Christian tradition. Sin may be portrayed in terms of a hunter (v. 14) or a seductress (v. 15), but in itself is neither male nor female, and attaches itself to all people equally, irrespective of their gender. Further, it is an arguable proposition that male sinfulness has wrought far more misery in the world and in history than female sinfulness. The idea that sin can “grow up” and reach maturity is intriguing and highlights the insidious nature of sin in the human life. Sin is not content until it reigns over the entirety of a life bringing forth death (Romans 5:21). In Genesis 4:7 it is pictured as a wild beast lying in wait to devour, and which must be mastered. So here, sin develops, and having reached reproductive maturity, “gives birth to death.” The language is paradoxical and startling for one normally associates birth with new life. Indeed, when birth results in death it is an occasional for great grief and mourning. Obviously the language is metaphorical and indicates that sin produces or brings forth death. Death, in Scripture, can bear multiple senses, including “spiritual” death, a separation from God and his purposes while still alive (e.g. Ephesians 2:1) and physical death. The death that sin brings is first spiritual and relational and later physical. Davids rightly notes, however, that James’ chain of desire-sin-death in verses 14-15 forms a stark contrast with his chain in verse 12 of testing-endurance-life (85). There the crown of life is understood in eschatological terms and so it seems likely that the kind of death James has in mind is eschatological—death in the ultimate sense of eternal separation from God, life and blessedness.